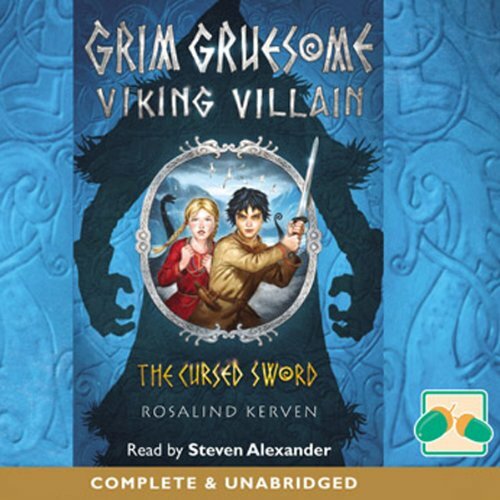 The first in a new series of seven books featuring a wonderfully villainous character, Grim Gruesome – a mysterious, shape-shifting, child-hating trickster, the terror of the North Lands. Bjarni needs a sword so he can join a pirate ship and win some treasure, but he can’t afford one. Then Astrid’s mysterious long-lost uncle appears out of the blue and offers to lend him one; but the strange runes carved on it are a dangerous curse. When he uses it, he and Astrid plunge into a terrifying adventure – which leads them straight into the clutches of the evil Grim Gruesome! Historically accurate but with a plot as rich as a fairytale.